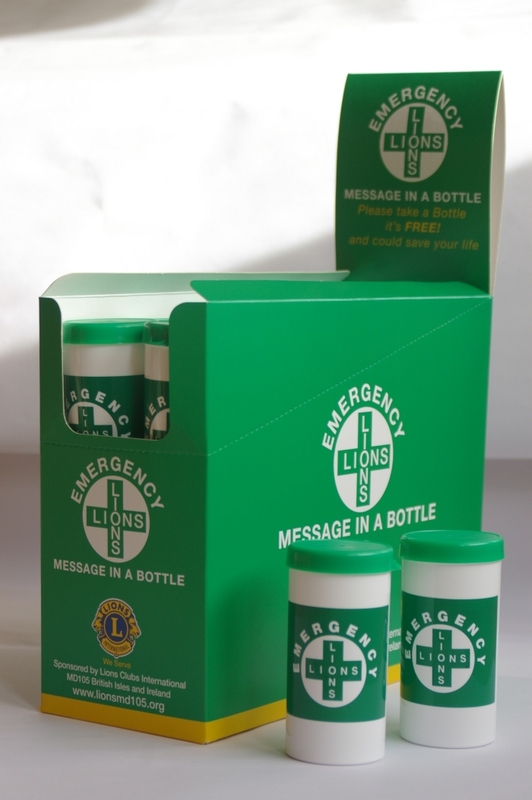 Message in a Bottle is a nationwide scheme organised by Lions Clubs throughout the country, aimed mainly at people who may be housebound. Small plastic containers are distributed for free through doctor’s surgeries and pharmacies. The user completes a form with their medical details and contact names and phone numbers, places the form in the container, then puts the container in their fridge. There is a sticker for the front door so if emergency services are called they know the information is in the fridge. 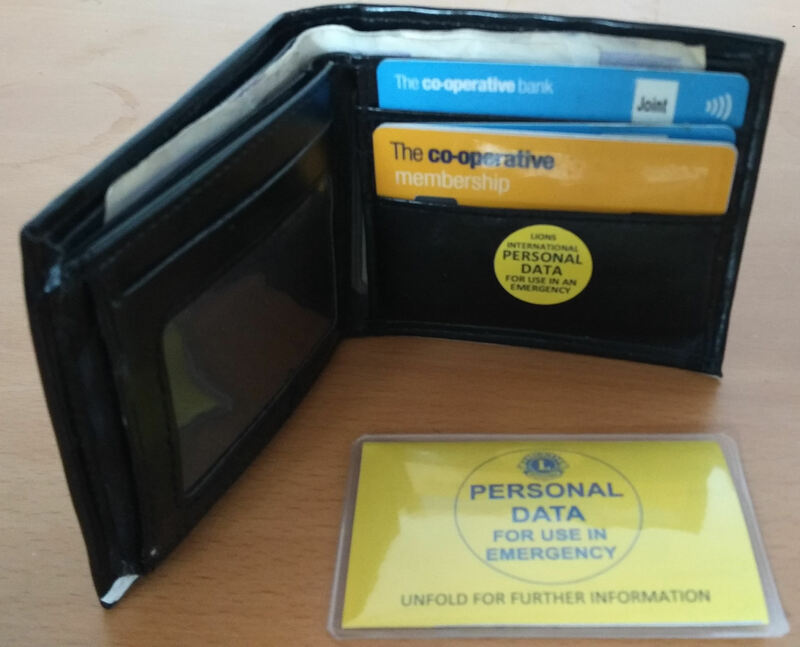 Message in a Wallet is a scheme organised by a number of Lions Clubs, including Wokingham Lions. It is an extension of Message in a Bottle that can be used be everyone. 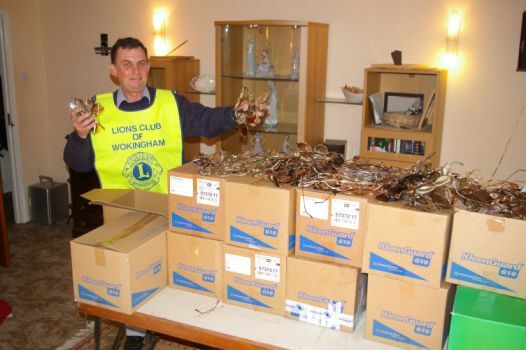 Can Can is a community service project Wokingham Lions Club has been running for over 20 years. We liaise with local supermarkets who allow us to set up a stall outside their store. We then hand a leaflet to their customers which asks them if they could buy a non-perishable food item as part of their shop and donate it to us. From the proceeds we make up parcels of assorted items which we deliver to those less fortunate in our community in the form of a little Christmas gift.